Mug mats are fun to make, use, and give as gifts. 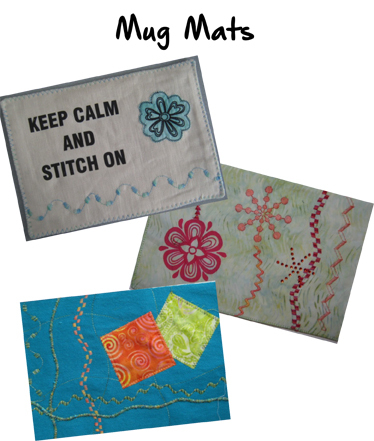 Techniques covered this month include using artist transfer paper, raw edge applique, free motion quilting, couching, many decorative stitches and more. Bring your machine (or use one of ours) to create a mug mat or two after Cindy's short presentation. Please call 970-565-7541 or e-mail Cindy by noon on Tuesday to reserve your space.